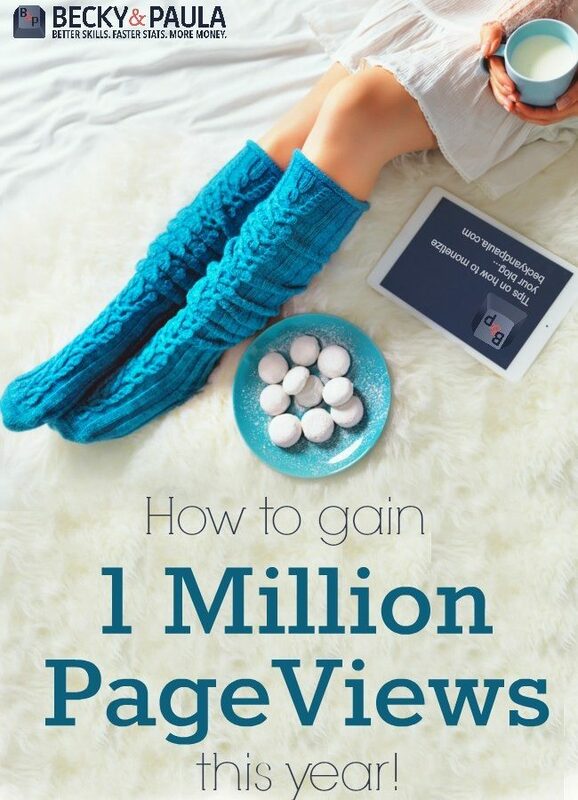 Today I want to tell you How to hit 1,000,000 visitors in a year of blogging. I did this and so can you. Now, at year three, I am at over 3 million a month. It is amazing what you can do when you put your mind to it. You are here because you are ready to do it, too… so let’s go for it! Lets start at the beginning… I’m Becky Mansfield, the blogger behind Your Modern Family. 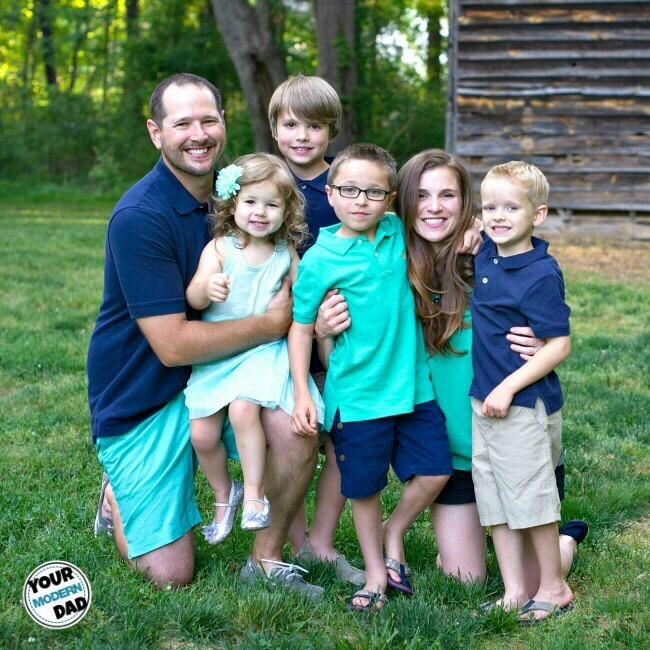 Your Modern Family is a blog about family life (my husband and I have four kids, so there is always something to blog about!) I earn a full-time six-figure income on that blog. Your Modern Family is where I earned enough money for my husband to quit his job. It is where I grew my blog to 3 million readers a month and grew my online presence. Paula has grown her blog, Beauty Through Imperfection, & her social media as well. 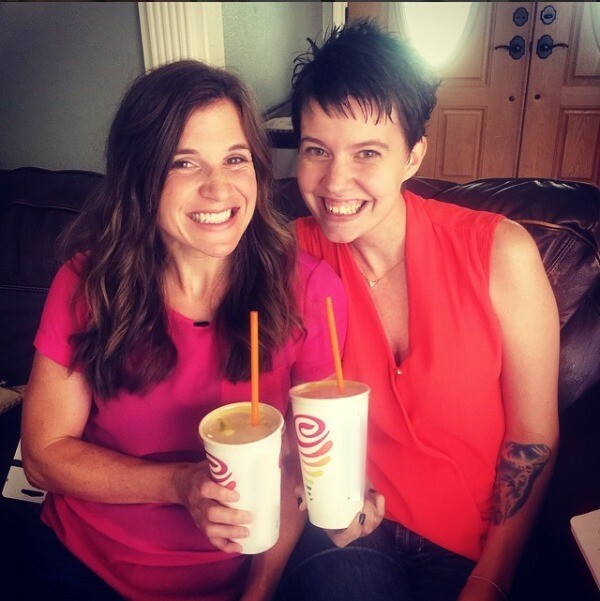 So… we decided to come here, to BeckyandPaula to share our tips with you… because if we can do it, so can you! It’s a great way to gain a loyal following, so if you are writing a blog about your family or your kids, it’s perfect. If you are writing to make an income for your family or to share new ideas daily, it’s probably not going to cut it. That’s not to say that it isn’t right for your blog, because it might be. 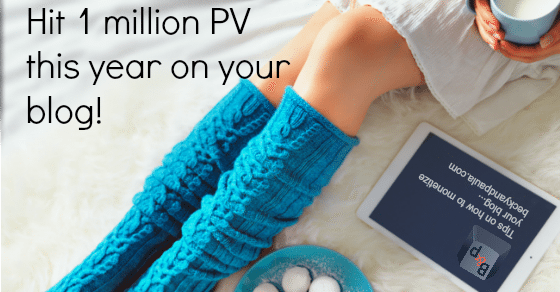 It’s just that you PROBABLY won’t reach 1 million (or WAY more) UMV in a year this way. You probably won’t triple your page views this way, but you never know! You get out what you put in. It’s a little luck & a lot of hard work! I work hard at blogging (I’m sure most of us do if we are planning on making it our full-time income). I work about 4 hours a day, most days (some more, some less), starting when our kids go to bed and working until 1:00 am or later. I squeeze things in during preschool hours, too (but that’s when I go to the gym, so usually I just do some FB or Pinterest during that time… it ends up being about 30 minutes of free time for me before I go back to get them, after the gym.) I could honestly work all day long & still have more to do. Blogging is like that… never really done. I used to take the weekends off, but now that Mickey is home, I work on the weekends, too (just at night) but not nearly as many hours as during the week. Just 1-2 hours a day. I post every single day. Posting frequently will bring more readers. I schedule Facebook and I have at least 50% of the FB shares leading back to either me, or my husband. The rest go to bloggers that I trust – where I know they will get good reach on my page. I do this with my blogging tribes & share groups a lot. Work hard at the beginning and you will be smooth sailing. Take a day off now & then. A full day. At the very least, get off of FB for the day. It can steal your time. Write in your notes section and not online. Then copy it to your blog. You will get much more done. Pin every single day. I use Board Booster and I loop my pins, so it keeps re-pinning for me, but we also have heard great things about ViralTag. Get together to do masterminding with friends! I have done this via Google Plus, Skype & in real life. Make plans & projects together. Use a powerful company, like ConvertKit to grow and manage your e-mail list. Think about how you can add a money-making link to each post. If it isn’t sponsored, add an affiliate link in there. Make your images your #2 priority (after your content.) grow your ad earnings. – I can’t stress this enough! Remember that if you don’t promote your blog, others won’t either. They aren’t going to magically find it. You have to share it! We have a lot of share groups on Facebook. Connect with other bloggers and share your things. Relationships matter a lot in blogging. Create good ones that you can help & will help you in return. Don’t put all of your eggs in one basket (social media, that is!) Spread your content around! Post it everywhere, not just to one source. The same goes for making money- find new ways to make money. Sell oils (I make about $1,000 a month), sell books (I make around $5,000-$15,000 a month), sell content (sponsored posts! ), grow your ad earnings (last month I made $15,000 in ads). 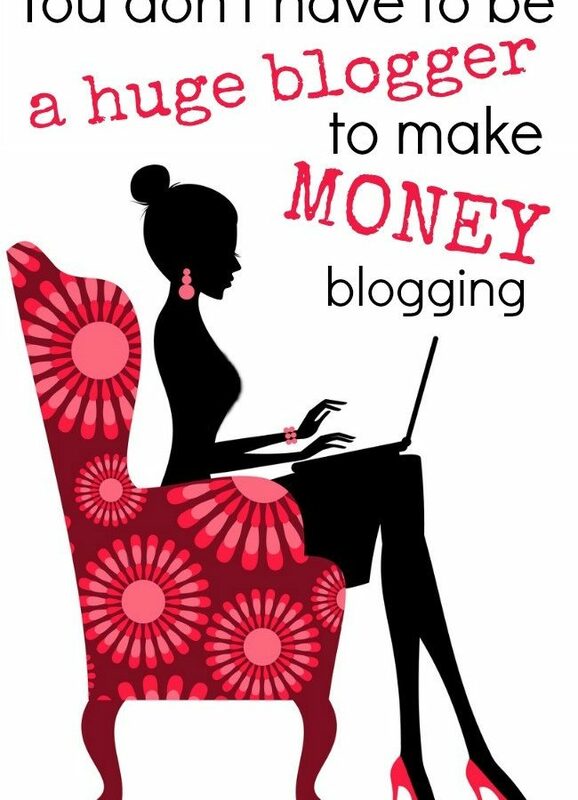 -Yes- blogging to make money takes work. It’s a real job. -Yes- blogging to gain page views takes work. It’s a real job. -Yes- it pays off! Put the time in and get results. -Yes- you can do it all. 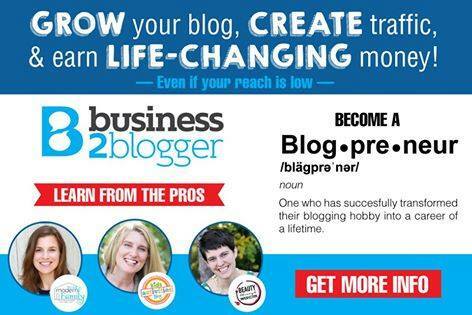 Or take our course BLOGPRENEUR where Paula Rollo, Holly Homer & I teach you EVERYTHING about blogging & how to become a six-figure blogger! I guess what I would say that working 4 hours on your blog every day is completely not feasible for the average blogger. During naptime I need to rest and at night my husband wants him to spend time with me – yes, every night. I’m also unable to wake up early because of my health problems. I’m glad it works for you – but for me, I’m glad for the stolen moments once or twice a week I can get a post up. Slow and steady might not be winning any blogging race or making me any money, but it is what is feasible for me and what I enjoy. Thank you so much for this! I’m a new blogger and you ladies have been such a huge help! Oh good! Glad to help!! Thanks for a great post. I’m enjoying the other posts you have linked as well. I’m glad. 🙂 I know- I have so many other ones in there! haha! Thanks for the motivation and tips! 11,000 views in 3 months is great! Good job! Congrats girl!! You are going to be a blog star 🙂 I have my blog for 2 months and I am struggling with views… I don’t expect much from blogging, like money, because I have a day job which I actually like, but I would like to have some more readers. I feel like my effort pays off and not in a monetized way. I am in the same boat, I’m not getting too many page views but I’m also not utilizing all social media sites and I took off 2 weeks to get married and get myself back into the swing of things. I’ve been blogging since the end of April and trying to bring more traffic to my site. I’m at about 650 total page views for All Time. While it’s neat to see people going to my page, I want more people to hear me! on my email address plz..
Congrats, Becky! What I’m getting at this is that you are really focused, have a system down, and use your time well. Because I swear I could work four hours a day and still produce about a quarter as much as you are! 🙂 Guess I need to work on my efficiency! Inspiring, girl. So like today my MUST DO is a sponsored post, so I’ll write that in my notes section so that I’m not distracted by FB, etc… 🙂 (b/c it easily distracts me!!) and then I have to finish moving hosts, so that is #2. This was very encouraging- thank you for sharing! I’m in my first year of blogging and learning so much. I keep a list of things to work on (mainly photos for me currently). A lot of times people will ask how I find time but I agree when you want to make something out of blogging you will find time! Naptime and once kids are in bed is my go to time! Thanks again! Wow this is amazing and really uplifting! It also sort of scares the hell out of me. I’m still at a loss as to growing my blogging audience – while I know the interwebs make the world a smaller place, it doesn’t seem like blogs have taken off in Australia the way they have the in US! That’s not to say I can’t work to earn the same traffic… I’m just… a little overwhelmed by it all. But this is definitely encouraging. I noticed you said you schedule your FB posts before bed each night. How do you do this? I installed a plugin so that my posts would go up on my FB pg automatically but found I could not control the image that it posted so I always had photos that did not match up with the subject of my post. So I stopped automating it but so wish I could find some solution! Laura, I have the same problem on FB with the WordPress plugin auto filling the picture when I post. Like you, I’d like to choose which photo gets posted with the link. Did you ever figure this out? I’m having the same problem, not being able to choose which picture I want for Facebook. It chooses another picture from the post. I’ve even had it choose a picture from different post. Did y’all figure out what was happening? I noticed this post was from early December. Another brilliant post, thank you, kindly. I am already following many of these tips and will continue on – as well, implement the others. You folks are AWEsome 🙂 Always learning, I am! Great information and very inspiring! I just started my blog a few weeks ago and have been trying to figure out the best times to post. I work full-time and go to school full-time, so it’s not always easy, but I’m making it work! Thanks for the advice. This will be a post I can refer back to so I can keep working on my blog. Lots of helpful links too! Very informative post Becky! 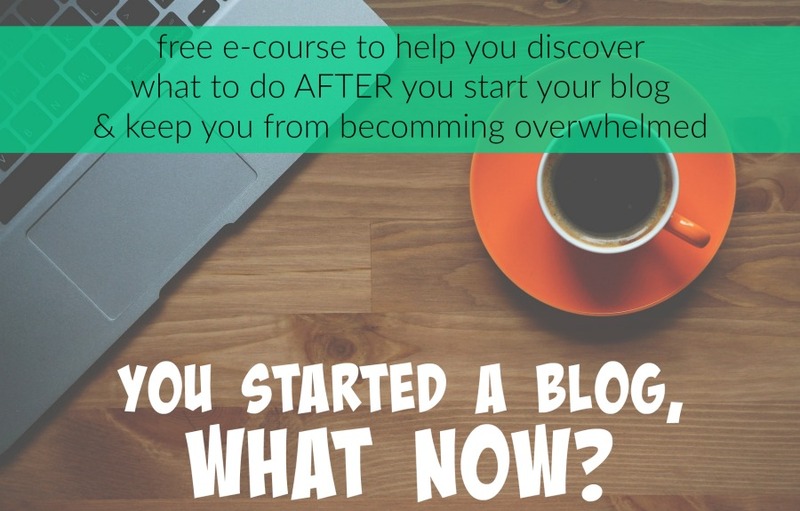 While I agree that blogging every day doesn’t work for everyone, it’s obviously working for you…way to go! I think that people just need to decide what works for them and then be consistent, whether it’s every day, twice a week, or whatever. Can I just say that I absolutely LOVE the whole theme of your blog?! It’s so encouraging to see you ladies keeping Jesus, family and friends first, and making it work….AMEN! Thank you so much for all the great advice Becky! I just stumbled upon your blog today and am intrigued with all the great stuff you have to share! I have decided to start blogging but am at the research stage before I jump in! 🙂 You and Paula are so great and I can’t wait to join your FB group and learn more about the two of you!! Reading back over this AGAIN – I’ve realized something. I’m selling myself pretty short these days. I’m not utilizing my time very well. I’m being really lazy about scheduling social media posts, and spending WAY too much time on just educating myself. While that is important, I feel I could be having posts go out daily if I spent more time in the areas that I need. I’m glad I read back over this again as there’s a lot of info that I can use. I have been struggling a bit and this has got some thoughts flowing on taking another look at my schedule and how I’m going about things. You ladies are so wonderful and I’m thankful that you’re here sharing all this with us! This is very impressive. I’m trying to learn how to keep blogging on the side with a full-time job, family and friends I would like to see from time to time. It takes a lot of work but I LOVE THE WORK!!! Does that sound crazy? I have done all of the above (wish I read this post 2 years ago though) and I would have done it sooner!!! I am now part of several blog tribes, have my blogger BFF (we talk almost daily – she lives in Chicago) and I love sharing other content!!! Thank you for this post- it gave me life. Hi Becky! Thank you so much for this valuable information! I have a question for you. Was there a point where you really saw a dramatic increase? Like…when you got to 5,000 views a month, things grew quickly from there or something like that? Thanks! Hi found your link on pintest and want to thank you there are some really great tips here for starters. 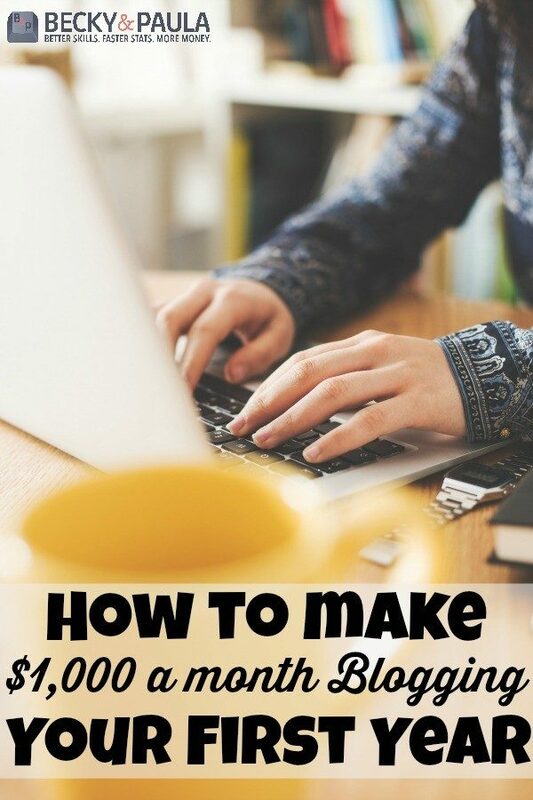 I am currently in the process of starting a blog, so I am sure to take advantage of these great tips! Hey! LOVE this post! I just happen to come across this on PINTREST; while doing some research for my site! I just started mine, technically since late July, but haven’t been able to quite figure out what it is I’m actually doing yet; so I don’t count actual ‘starting’ until last week when I just jumped in… hoping I didn’t do anything majorly wrong! Anyway, your article has so many things I never even thought about or considered before. Your message was straight forward and understandable. You sound so happy about your blogging — I’d like to make it my goal to feel that same way during this experience. I’ll take a look at your FB page and may ask a few questions, if you don’t mind, as I become more familiar and confident as I grow. I could use a good friend like you (all)! Thank you for the article! Awesome!! Thanks for stopping by! Wow you are so sensible and organised . Thanks for this great post! Love how you take the weekends off and get so much done the night before. I need to get a better schedule. What other facebook pages do you know besides yours and Paula’s that share posts? I know the Kid’s Activities Blog page shares scads – do they just find them or how do you share and what kind-of posts? I wonder about bloggers like Money Saving Mom as well. Don’t want to be spammy, but at the same time don’t want to be missing opportunities. Deanna, what is the name of your blog? I have seen you before, I just can’t remember from where.Thanks! I really enjoyed this post! You now have 1,000,001 views. Thank you so much for all of the information. Thank you for this inspirational post. It’s so good to know that you can be successful with this and still put your family first. I’ve found that starting mine has really helped me take more pictures of memories and search out new ideas for fun things to do with the kiddos! 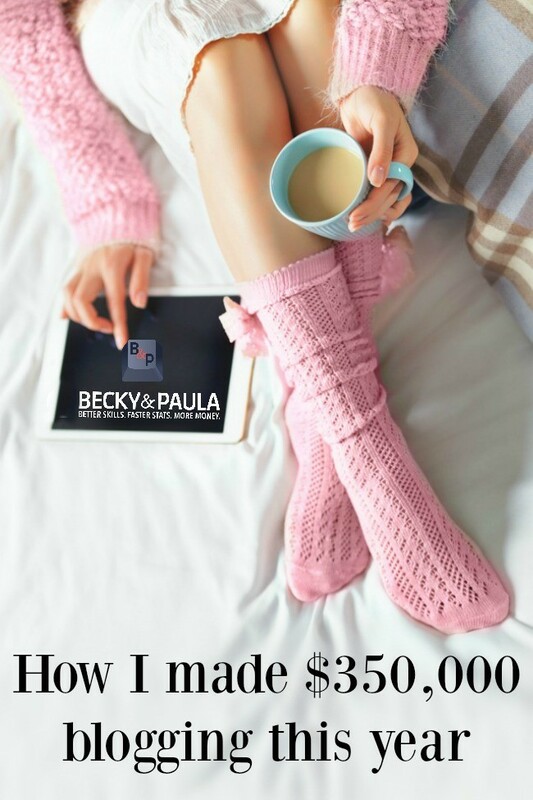 What an awesome post Becky, you are truly an inspiration to me and all other mommy bloggers! I LOVED this. I have felt downtrodden in the blog world lately, and this has given me a major boost~ THANK YOU! Truly inspiring! I really got to get to work at this blogging. When I think of all the things I wish I could do for a living one thing always pops up on top; writing! And I have several blogs so why the heck aren’t I blogging more? I think I needed this motivation! This post was very realistic. I appreciate it! I formed a blogging tribe and so far haven’t seen any benefit I think maybe we are just not a right fit. I’m still in search of my blogging BFF, every time I think I’ve found her it bombs. I would definitely love to have a million visitors in a year so I better get busy working harder to reach that goal. Thanks for sharing these great tips! Question…when you say you “pin 10 times a day” are you pinning your pins to boards or other pins, as well? This is amazing! Very inspiring that it can be done! I think I am having a hard time managing my time I guess. I probably spend 3-4 hours a day blogging and I am definitely not getting as much done as you. Bravo. Well done. Great stuff. Bookmarking this blog for sure. THANK YOU for such a straight forward post. Reading this post gave me great HOPE to begin my blog. Do I smell a blogging challenge? Reading this blog has inspired me to pick up my blog game and set a goal for 1,000,000 visitors by December 2015. Wish me blessings!! It was great reading this. I like your schedule for the week with your posts. I usually start a blog and then get distracted with my one year old licking the window or something. So I’m going to switch up my game too! He doesn’t take long naps so I will get most of my work in when he goes to sleep at night. Thank you for sharing ! So informative!! I really understywhat needed to be done. I am pinning this. Hi, I’ve seen this post before, and every time I can’t read it because of the misspelling of its. I get so fixated on it. You use “its” instead of “it’s” probably 10 times on this post and in the feature image. It makes people discount what you are saying, so I decide I’d just let you know it, so you can fix it! I love your site, and you have great advice. Focus on the advice. Focusing on the negatives in life will only stress you. Besides, I don’t discredit the content because of the high quality of it. Ask about her stats and you will see I’m likely in the majority. thank you so much for this! Love the advice. Thank you for the tip’s and suggestions. I found them to be very helpful. Keep up the great job. 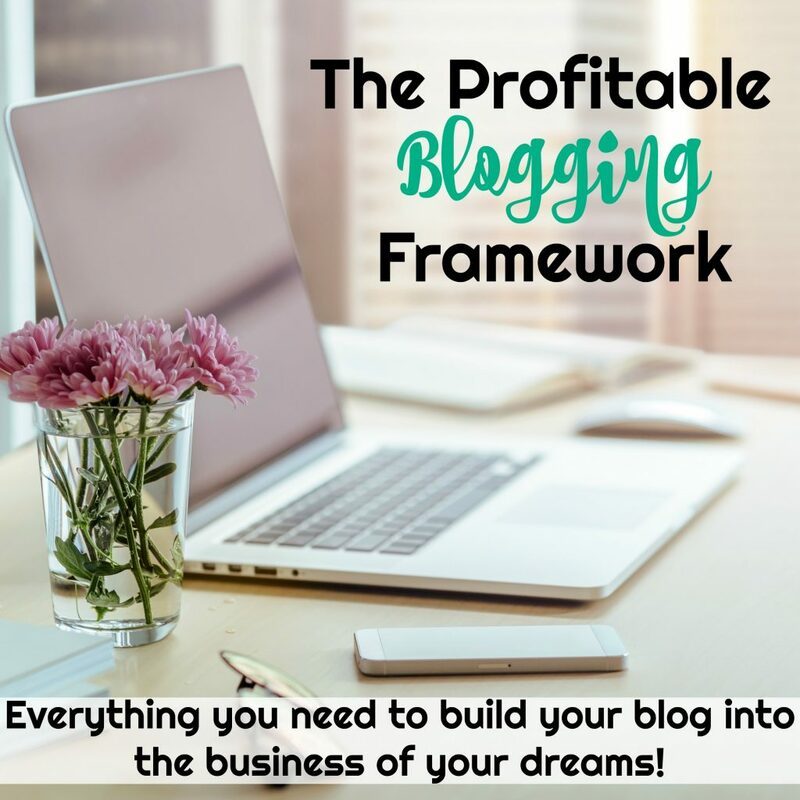 Great post, this is good for new bloggers like me. I’m trying to build my blog “plane” while flying it. I’m building content while creating an audience. It’s tough, but, I agree with you, I’m trying to strike while the iron is hot. Monetizing seems so far away now, but I’ve already signed up for Amazon’s affiliate. A little of something is better than a whole lot of nothing. Good post. Thanks! Absolutely love your blog and how you creatively present things. 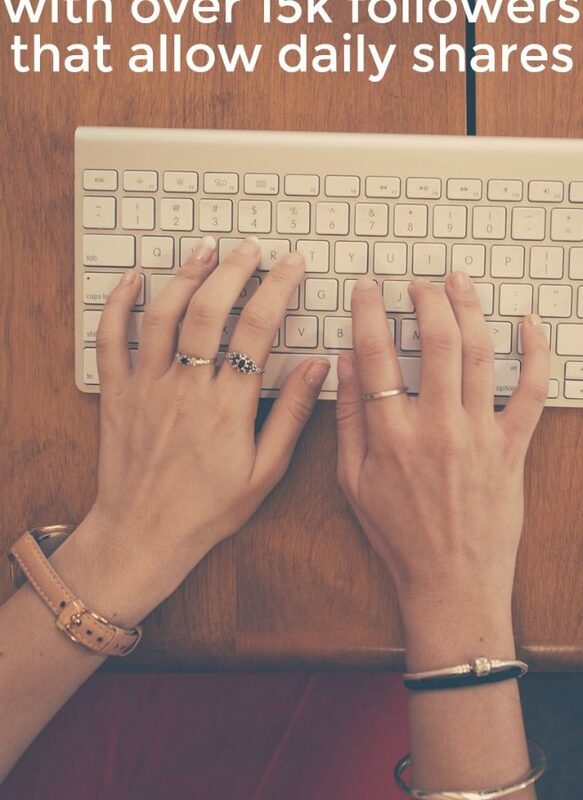 Your blogging style just offers so much ease in reading that you’d like to read more and more! I have learned a lot from you in just a few minutes. Thank you for sharing this to us and keep up the good work!! this post was full of aha! moments for me:) thank you I’m bookmarking this! Thanks for the encouraging post Becky! I work really hard on my blog every spare minute I get, but I have a full time job that takes a good bit of my time along with keeping up the house chores. I recent found some apps that help with the scheduling. So that’s a big help. I join linky, I’m working on my pictures and trying to post more, I leave comments on blogs and social media everyday, and have been consistant at this for a few months now. I even started a newsletter, and it’s still slow going. I am trying really hard to make this blog work. I’ve even tried giveaways, In fact I think I’m going to start that back up in a regular basic to see if that will help. I think two of my biggest obstacles is pictures (which I’m working on, and they have improved), and the other is I’m real shy, therefore I am having a really hard time finding a tribe, or a blogging BFF. From what I’ve read your tribe needs to be someone around in the same level as yourself traffic, but once I find them I’m not really sure how to approach them, I’m not good with words, guess that’s part of being shy. Thanks again for sharing this info, it is encouraging and inspiring to us newbies. I have you saved on my phone. Now I’m off to read some more of your great information. Do you have a virtual assistant, website builder, or anyone else that helps you, or are you doing this 100% on your own? Because that makes a huge difference. Craft, recipe, fashion, beauty, and photography blogs take a lot of time to run. It takes time to take and edit photos, especially if they accompany a “how to” post. Recipes take time to cook up, both literally and figuratively. THEN you still have to photograph them, write the post, write the recipe, edit the photos, share the post, etc. 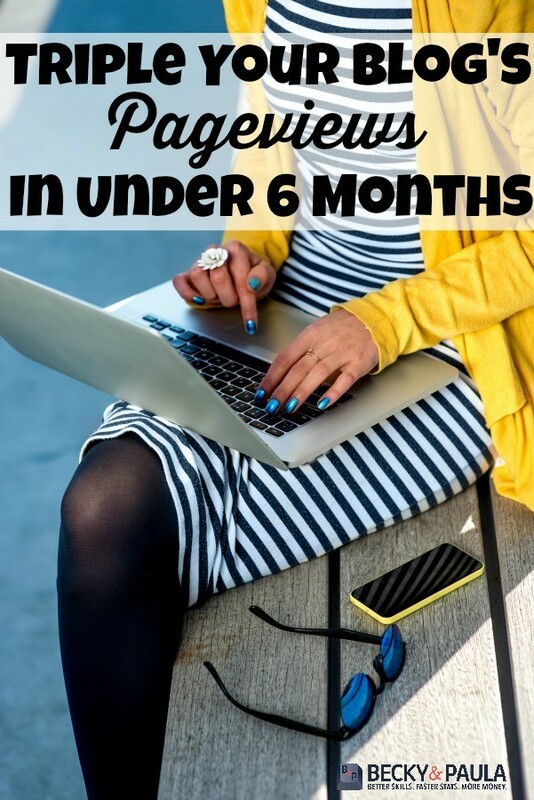 I feel like saying “you can get 1,000,000 page views in 4 hours a day, 5 days a week,” is not taking into account bloggers that have to put several hours into their posts. No, we cannot all do this, and I wish you would have addressed that in this post vs “Yes, you can, cause I did.” Posting once a day? On a recipe or craft or photography blog? 100% on your own, and in 4 hours a day? Not feasible. At all. Scheduling blogging time is hugely important, and knowing when you should post to social media, and knowing what content gets the most engagement, so you were certainly spot on with that. Happy to say that I was already following one of you (now BOTH) on Facebook before finding this post. Thank you for being so generous to allow us to post to your page. No way!! That’s amazing. I’m so excited for you!! I know- sometimes it just takes a little boost to re-charge you (I love how you put that). Thanks for this Becky! Immediately made a board on Pinterest dedicated to my blog. I had the link embedded in my product board page, but this is much better!! Thanks for providing real, usable tips and tools! its unbelievable making money only by blog i am planning for the same but i was not aware of such a huge result thanks for sharing your post. Thanks for sharing such a information. I love all of your advice, and I’m definitely signing up for your newsletter. I have been “blogging on the side” for about three years about family life and projects while still teaching elementary school. Because of how demanding teaching can be I still can’t devote as much time as I would like to blogging, and it’s especially been lower this year, but I am going to try and take some of your advice and apply it where I can. Can’t wait to dig through your archives and see what else I can be inspired by. Thank you! Amazing post, and thank you for sharing it. Blogging works but it takes time and commitment and I guess that’s why so many people give up before they make it… Congrats and thanks again for the inspiration. This is a great post!! I’m glad Darren Rowse shared it! Do you have a IDs for young living so I can say that you referred me? Hopefully one day I could get to 1 million views a month. It’s a long way off but over the next few years I think I could achieve it. Hallelujah! This is some great stuff! I’ve been struggling with trying to get my blog to start up. I’ve had to take days off of my articles to work my website better. I’ve been on it EVERYDAY and I think I’ve perfected (mostly) the way my website works. I found the SITS Girls and that’s a good site! Very helpful! 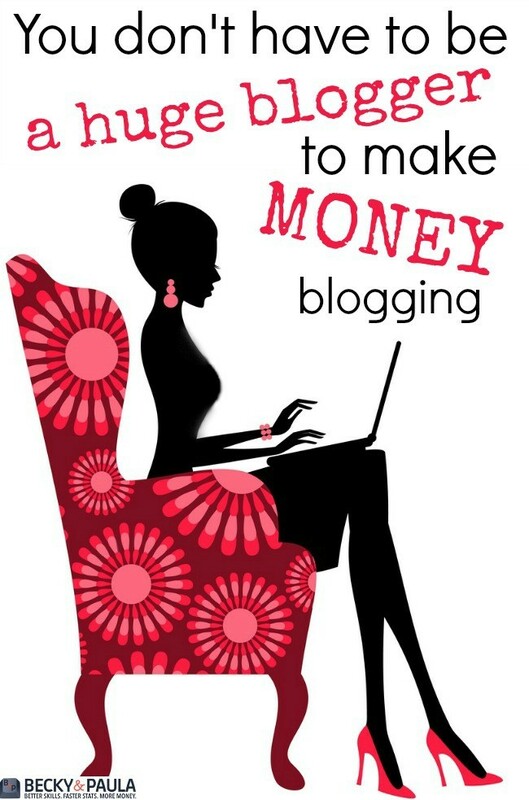 Thank you for these tips because I’m definitely trying to earn an income with my blog! Congratulations! that is amazing. 10,000 views a month would do me solid. I can’t even imagine 1,000,000. But I must say this post has been a true inspiration. So basically, you are saying that the core to generate that many views is blogging everyday, sharing your content everywhere you can and collaborating with other bloggers? If that’s the case, I will definitely give it my best shot. Thanks again for such an inspirational post. Nice, your post motivate and give an idea to blogger that create a different type of blog post energy.